It turns out no one is immune to being embarrassed by their family… not even supermodels. Now that it’s almost time for the release of the highly anticipated swimsuit edition of Sports Illustrated, Ashley Graham has been sharing all kinds of photos from her shoot, but unfortunately, at the same time, she’s just been giving her family ammo to make fun of her. 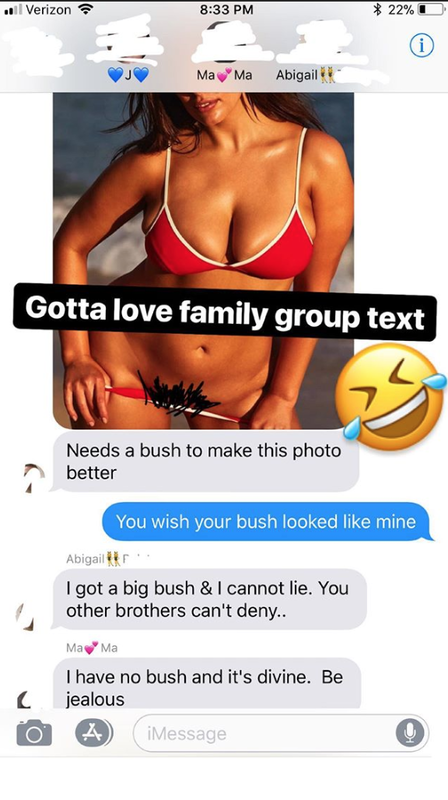 On Tuesday, Graham’s family joked about her “bush” in a group chat, and as cringeworthy as the conversation was, she shared it with the whole world on her Instagram Story so the rest of us could laugh right along with them. As secondhand embarrassing as this may feel, it’s actually kind of… sweet? Graham obviously has a really close family, and this text is adorable (if a little awkward). These topics aren’t really something you routinely discuss with your family, and definitely not all at once. But for the Grahams, it’s just par for the course. Actually, this text is really making us wonder what else they might talk about that she’s not sharing with us. 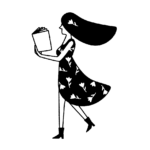 One more reason to be in love with Graham — aside from her honesty, kindness, and ridiculous talent. Pubic hair’s a part of life, y’all. Why not embrace it?